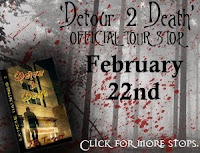 I am very excited to be taking part in J.R. Turner's official blog tour for the third book in the Extreme Hauntings series, Detour 2 Death, released 15th February! 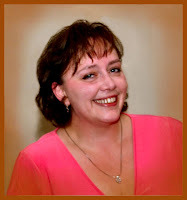 You may remember I reviewed Jenny's first book in the series, Dead Friends Forever, last week and today she has stopped by to answer a few questions. There are worse things than death, but not at Marsden Memorial hospital. Kaylee Hensler knows her best friend Davey is on the brink of death. She knows this because she’s a psychic. When she flees the girl’s reformatory to get to him, she has no idea the special sort of hell waiting for her. Reapers are collectors and they come in many forms. In Feverland, the world created by Davey’s sickness, the red reaper goes by the name of Molok, an ancient evil with deep roots. In Shadowland, the dark side of the hospital, a black reaper promises torture and torment to lost souls. The white reaper is the most fearsome, giving Kaylee three days before he collects both her and Davey’s souls. Kaylee has one secret weapon, one she doesn’t fully understand. Her abilities will be tested, her loyalty betrayed, and her love misplaced. No one escapes Death. Jenny: Thanks so much for having me as a guest on your blog today. I’m excited to be here! Jess: How long have you been writing? Jenny: I didn’t seriously begin pursuing a career as an author until 1999. I had been working as a contract artist for many years, but I preferred writing to artwork and when we moved across the state in ’99, I decided to take the opportunity to start my first novel. 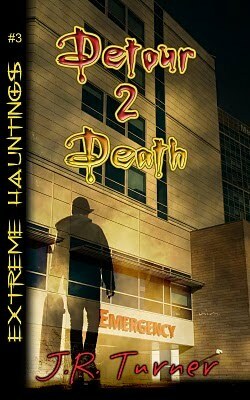 Jess: What inspired you to write your Extreme Hauntings series? Jenny: My publisher asked me to write a young adult series and my eldest son kept bugging me to write something he wanted to read. So, after hunting for an idea I could get passionate about, I decided ghosts with a heroine who had paranormal abilities would be awesome. My son never did read the series, but my daughter is enjoying them very much. Jenny: As much as I wanted to stick with the sort of spy/thriller genre I wrote in for my adult books, I couldn’t see making a teen heroine armed to the teeth with automatic weapons believable in an every day world. At first I thought to create an alternative earth, or perhaps a dystopian future, and I did have some great fun exploring those ideas. One night, while watching my favorite television show Supernatural, it occurred to me I didn’t have to give her guns, I could give her a paranormal ability—and that set me on the track of writing horror. Jess: Can you tell us about our heroine Kaylee? Jenny: Kaylee is a small town girl thrown into a dangerous world of demons and angels. The ghosts are captives in this ongoing war and Fate sees to it that she’s sent from place to place to free them. While it’s hard on Kaylee, she doesn’t get to avoid the consequences of her actions. She’s found guilty of arson and grave robbing in the first book, and sent to a reformatory for girls in the second. Other than her psychic abilities and the power to heal bestowed on her by the archangel Raphael, she’s a normal skater girl who wants nothing more than to be accepted and fall in love with a cute guy. Jess: Why did you decide to write for children/young adults? Jenny: I wanted to open up my reading audience. I know when I was young, I really loved ghost stories (especially those with romances) and I thought it would be great to add to that genre. There doesn’t seem to be enough of them out there. Jess: What were some of your favourite books growing up? Jenny: I loved everything by John Saul. He really introduced me to the horror-for-teens genre that I’ve come to embrace as a writer. I also enjoyed Stephen King, but I was a sucker for those skinny little Harlequin romances my Aunt Virginia gave me by the shopping bag full. Edgar Rice Burroughs was another favorite of mine. There was something so masculine and visceral about his writing, even if it sounded “old fashioned” to me at the time. Jess: Which fictional character would you like to trade places with? Jenny: Oh gosh! Probably any one of Julie Garwood’s heroines. The men in her books are always to die for and the women are always beautiful and deserving of their happily ever after. Jess: Do you have any must-haves while writing? 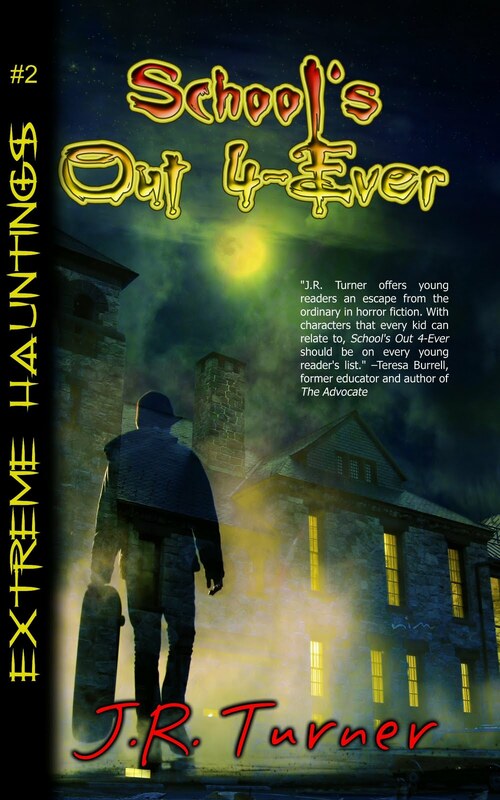 Jess: Have you written anything else other than the Extreme Hauntings series? Jess: Wow, you're a busy woman! Jenny: Thank you so very much for all your time and for having me as a guest on your blog, Jessica! 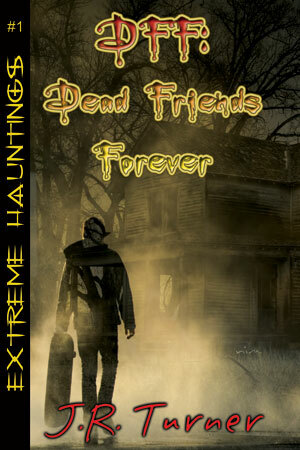 I’d love to do a competition for those who leave comments and offer an ebook copy of DFF: Dead Friends Forever to the winner. The winner will be chosen on Friday (25th Feb). Please include your email address with your comment. You definitely always ask such great questions! I could never think of such creative ones. The Tales Compendium on Facebook!